GUEST ARTICLE: The electricity industry is the biggest emitter of greenhouse gases in Australia, contributing more than all vehicle emissions. This industry is however important to the Australian economy generating $13.1 billion in revenue annually and 49,000 jobs. This is mainly due to the coal and gas industry but the times are a changing! This began modestly under the Howard Government with the introduction of the Mandatory Renewable Energy Target (MRET) scheme, and ramped up under the Rudd Government with the signing of Kyoto Protocol, expansion of the MRET scheme and development of emissions trading. Emissions trading, known as the Carbon Pollution Reduction Scheme (CPRS), works by ‘taxing’ the emitters who exceed emission targets. This has a similar effect to the GST, the end user of energy intensive products pay for the environmental effects. The MRET works by ‘taxing’ energy producers a set amount of their production. Market forces enable these taxes to be directed to projects that offset or reduce emissions and energy use. Currently Australians source less than 5% of their energy needs from renewable sources such as wind, solar and hydro. This amount is expected to quadruple in the next decade to represent a $15 billion investment into efficient renewable energy technologies. The race towards clean renewable energy is also resulting in some interesting new technologies and innovations. In South Australia, a team of scientists have developed an idea to lift wind generators 30,000 feet above ground into the Earth’s Jet Stream winds. These generators would be anchored by tethers to a substation connected to the grid. 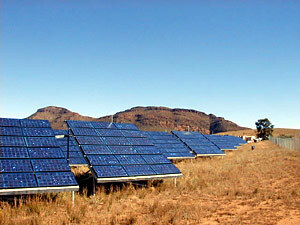 More practical solutions include a proposed renewable energy park in the Hunter Valley of NSW. The Hunter region is not only home to Australia’s finest Semillons but also the major source of coal generated electricity. Kyoto Energy Park is proposing to build a 140MW combination of wind, solar and closed loop hydro technologies. The proposed complementing energy sources are able to provide a predictable and constant supply of power into the grid. This is possible by controlling water flow in the hydro system when available winds are low or the sun has set. Other complementary energy projects include the use of wave power that can simultaneously desalinate sea water. Carnegie Corporation in Western Australia use robotic arms attached to the seabed, simulating the movement of kelp plants. As they move to and fro, they pump water under high pressure to an onshore station. Carnegie say that over 1 million GWh (that’s 1 Peta Watt or a 1 with 15 zeros watts!) of wave energy hits the Australian shores. States like Western Australia, South Australia, Victoria and Tasmania are in prime positions to make the most of this energy and Carnegie estimates that at least 35% of Australia’s current base‐load power needs could be economically generated from waves (PDF). Government policy as well as passionate citizens and scientists, are creating exciting energy innovations that will continue to reap benefits for the Australian lifestyle and environment. It is now a technology race to see which types of renewable energy will surpass traditional types of electricity generation. This guest article was written by Jamie Chivers, a finalist in the 2008 NSW Young BizStar Competition. His business has been featured in Fairfax and News Limited newspapers. In his early research on climate change Jamie saw many confused people struggling to make choices about which renewable electricity plan to choose for their homes. That’s why he founded Easyswitch, a comparison website for accredited GreenPower electricity plans in Australia. Easyswitch makes it easy to switch to an environmentally friendly power plan for your home or business, allowing you to easily compare prices, contract length, energy ratings, green energy mix, energy source, CO2 saved, and other information. That’s pretty interesting, I was unaware that solar energy costs that much. I am equally surprised that coal is that cheap. 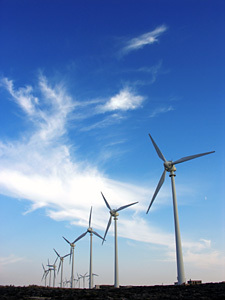 I think Wind energy is a great source, although it would be better if it could become more cost effective. Time will tell. The english have recently signalled they see the potential to create up to 20% of their energy from wave generation. Our aussie technology could be key to building this at the current efficiency. That is when government incentives schemes help to create new industries that put Australians in jobs. Very excited. Check out what Barack Obama is saying he plans to do. Basically renewable energy is seen as one of the best ways to turn the economy around. Just thinking if anyone is interested in doing something themselves – that is locally – then have a squizz at my site. I have some info about setting up solar panels and wind power that is easy enough for anyone to do. Act instead of just talking is how we fit a problem. All very exciting stuff that is changing the world as we know it. We are finally in the era where there is action instead of just talk about our options for renewable energy.Let’s all work together.Find out what Barack Obama is doing about this.It’s real big and is going to make a huge differance.Check out where he went. Previous PostPrevious Working as a Train Driver – What is it Like?